Home » Ex Atex Delvalle » What is GOST-R? 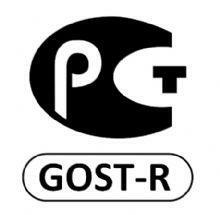 GOST-R is the current technical and safety regulations for the Russian market. According to Russian Federation Law, more than 70% of all products which are sold and used within Russia require mandatory certification. Products must meet specific Russian standards to achieve a GOST-R certificate. Russian requirements for certification do not necessarily match with European or International standards therefore Russian Certificate of Conformity must be obtained to import or operate most equipment. Delvalle are able to provide certified equipment such as hazardous area enclosures Ex d (Burj series) suitable for potentially explosive atmospheres. Contact Delvalle for further information, to discuss your requirements.